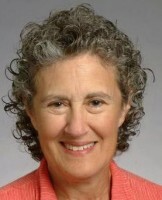 Prof. Barbara Liskov has won the Association for Computing Machinery’s Turing Award, often described as the Nobel Prize of computer science. This was great news to hear because Prof. Liskov was another of my very influential professors at MIT. When I was an MIT sophomore, I took a prototype of the class that would eventually become 6.170, MIT’s Laboratory in Software Engineering. In this class, Prof. Liskov taught us about data abstraction, perhaps the most fundamental of the concepts that came to be known as object-oriented programming. She eventually designed a computer language, CLU, that directly supported data abstraction, and I programmed in CLU for my M.S. research work at MIT. But at this point, data abstraction was new and there were no languages to support it directly. So we learned how to approximate data abstraction using the traditional PL/1 language. This was a lesson that came in very handy in the years when programming needed to be done in older languages like C and Pascal. Eventually, languages like Java, C++, and Visual Basic came into widespread use with built-in support for data abstraction. This was only my fourth programming class – I had one class in high school and two as an MIT freshman – and it had the biggest projects I had programmed to that time. So it was a tremendous boon to get the ideas of data abstraction into my software development repertoire at an early age. Thanks, Prof. Liskov, for your great teaching in my undergraduate and graduate years at MIT. Enjoy your richly-deserved award!